When it comes to running a productive office, one of the best things you can do is help encourage health among your employees. A healthy staff will miss fewer days of work and will show up ready to tackle the day ahead. When your employees are unhealthy, they will often feel unmotivated and struggle with simple daily tasks. If you want to improve the health of your employees, check out these useful tips and reach out to learn more about commercial duct cleaning in Las Vegas by our professional team. One way you can help boost the health of your employees is through an incentive program. Create a system of points or other rewards that your employees can accumulate through healthy lifestyle choices. For example, you might build a point system that allows your employees to utilize their points for a variety of rewards, such as an extra day off, a gift card to a local restaurant, etc. 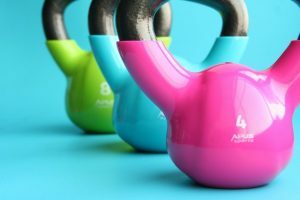 When your employee completes a healthy activity, such as taking a 30-minute walk every day at lunch or exercising at the company gym three times a week, they will be awarded a set number of points. The more healthy choices you can encourage your employees to make the better their overall health will be. When you don’t give your employees ample time off, it can begin to wear on their health. Stress and a lack of rest can all contribute to an increase in illness. Unfortunately, once illness starts spreading through the office, it can be difficult to eradicate germs from the place. By allowing ample paid time off for your employees, you will allow them to recharge and take good care of their health. Do your employees seemed stressed out constantly? Is the morale at your company lacking? Take time to fix your company’s culture if you notice that your employees’ health is plummeting. Stress and depression can play a huge role in the well-being of your staff. If you don’t provide a positive environment for people to work in, their health will deteriorate. 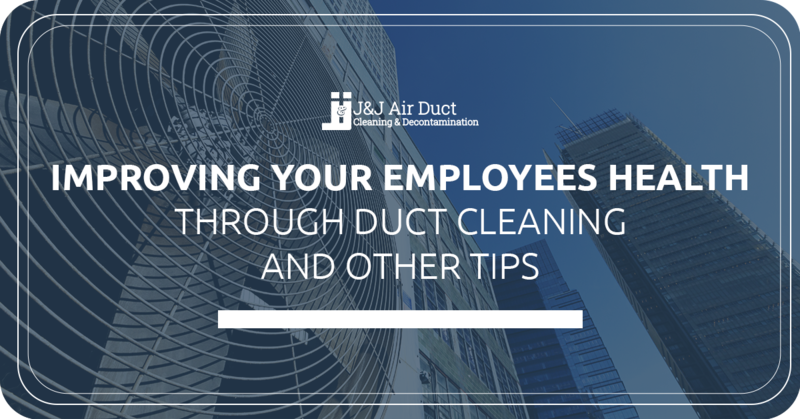 One of the best ways you can improve your employees’ health is by investing in commercial air duct cleaning. When your office has dirty air ducts, it can result in an increase in illness and it can also lead to people’s allergies to flaring up. By hiring a professional team to clean your ductwork and your entire HVAC system, you will contribute to a healthier office. A professional cleaning will rid the ducts of germs, allergens, debris, dust, mold, and other harmful contaminants. This will lead to clean, fresh air in your office and healthy, happy employees. Do you need to schedule commercial duct cleaning in Las Vegas? Reach out to the pros at J & J Air Duct Cleaning & Decontamination. We can help you keep your office space clean and assist you in providing your employees with a healthy place to work.